Mar10 Comments Off on Support our Thunderclap Campaign! Hey everyone! Just a quick post to ask for your help! 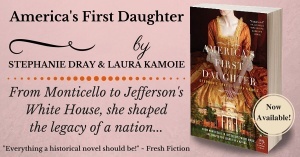 We’ve set up a Thunderclap campaign to share a post about America’s First Daughter on March 17! Thunderclap is a service that automatically posts a tweet, Facebook post, or tumblr at a set time – all you have to do is SIGN UP HERE – it’s easy! ← #AmericasFirstDaughter Fifty State Tour In Pics!